The speech of Penpa Tsering set the tone for the four-day meeting, during which the recent self-immolations and a possible leadership change in Beijing will be discussed. The speaker of Tibet's parliament-in-exile accused Beijing of turning the Himalayan region into a giant prison camp as he opened the biggest meeting of the Tibetan leadership in four years. "A state of undeclared martial law continues to remain in force in Tibet," Penpa Tsering said at the conclave in the northern Indian hilltown of Dharamshala. 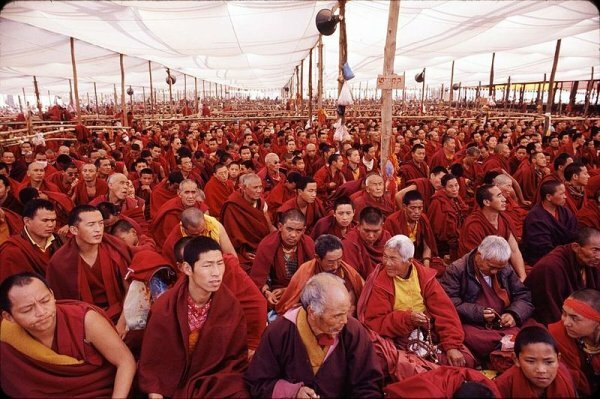 "[Beijing] has converted Tibet into a territory resembling a prison camp." The meeting of about 400 Tibetans from around the world comes ahead of an expected leadership change in Beijing and amid a gruesome wave of self-immolation protests by monks, which Tsering said reflects a deep sense of despair. The four-day gathering is also the first since Tibetan spiritual leader the Dalai Lama passed on his political mantle to prime-minister-in-exile Lobsang Sangay. Tsering opened proceedings by denouncing state repression, which he blamed for the recent self-immolation deaths of 51 Tibetans. He said: "The question [is] how we, the Tibetan people living in exile, should respond to the tragic situation in Tibet today." Some analysts say president-in-waiting Xi Jinping may be more flexible on Tibet and offer to restart talks with its leaders. But Sangay, a Harvard-educated legal scholar elected to the post in April last year, said: "We are not that optimistic because the Chinese government has continued to maintain hardline policies on Tibet. "But as human beings, you should remain hopeful, and the new personnel will hopefully have a new perspective." Sangay arrived at the assembly hall escorted by saffron-robed monks who blew horns as a large portrait of the Dalai Lama was carried into the venue. The Dalai Lama is still seen as the ultimate power in the exile movement but is not attending in line with his "retirement" from politics. He will hold a prayer session when the meeting ends on Friday. Many Tibetans are deeply shocked by the self-immolations, which contradict Buddhist teachings that all life is sacred, and are frustrated that years of efforts to negotiate with Beijing have stalled. The government-in-exile faces a tough challenge to convince some Tibetans that it remains relevant, despite having no influence over the situation inside the region. Five decades after the Dalai Lama fled Tibet for India after the failed uprising of 1959, the options available to the leaders in exile appear more limited than ever. "The urgency is very high as the situation is getting worse and worse," said Students for a Free Tibet leader Dorjee Tseten, who is attending the meeting.